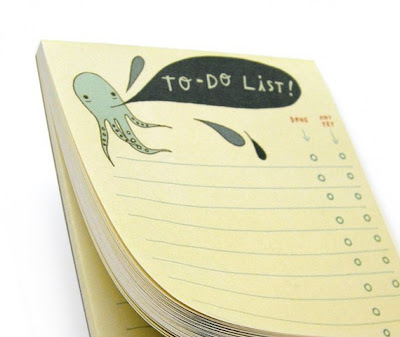 the rikrak studio: more to do lists! lotsa fun happenin' around here these days. heavens things are busy - for you, too, i bet nicies! here's a little TO DO list on the blog today for ya! check out alex keller's gorgeous kilim collection. i'd be superdooper thankful if you had a sec to head on over to etsy and leave alex & i a cheer if you can in the comments! the random.org winner of the beautiful phul effect is katie of the fabulous fashion frugality blog. ... #142. love your fun blog, nicey! many congrats! don't forget to enter the gorgeous Mr. Color decor art book giveaway here. it's a beautiful book valued at $95! HOW FUN for your lovely coffee table, cuties! i'm looking for FUN handmakers to be part of this MEGA holiday giveaway! come join the fun! back to sewing for me, sweeties! see you tomorrow with something superfun you're gonna wanna play! are you a * to do * list maker? I love doing to-do lists, too! My family calls me "MRS. List" (actually a play on our last name. Congratulations on your Etsy article. I used to pen them down, now I just type them in my list in the comp's desktop. LOL! :) I love the cutie list. totally a list maker - i like writig things down and crossing them off! such a feeling of satisfaction! I sometimes even add things onto the list that I've already done, just so I can cross it off...nerdy, yes :) but I like it :) lovely interview and gorgeous stuff on your site! saw your article about the kilims, gorgeous stuff! yay you!